Analysis and comparison of the 2 texts (done in class) – but also use YOUR notes ! CREATING A TRAILER FOR A DYSTOPIAN MOVIE (deadline April 14th via Wetransfer) Your trailer must be 1’30 maximum. Include voices (+ music if you wish) and visuals, title of the movie and plot. Make the people want to see your movie! prepare your arguments for the debate (for or against slum tours?) + revise expressions to debate. Where are your (honest) comments on the play? I was quite specific when I sent all of you an email through the ENT… (guessing that maybe you wouldn’t visit the website before the holidays) – The more you wait, the less you will remember. This is part of your HOMEWORK. Describe the picture as much as you can. Where do you think it was taken? React : how does this make you feel? Find vocabulary and expressions that you associate with this picture. Is there a message behind it? If so, which one? What kind of photos has Martin Parr taken related to the theme « Small world »? You should answer this question on the website. Like many American outsider-adventurers, Dorian « Doc » Paskowitz set out to realize a utopian dream. Abandoning a successful medical practice, he sought self-fulfillment by taking up the nomadic life of a surfer. Paskowitz took his wife and nine children along for the ride, all eleven of them living in a 24 foot camper. I hope you will be able to watch the rest of the movie « Mississipi Burning » because the end is really enlightening. Plus, when you come back, expect a written Test on segregation. We will change Chapter after the test. THE WHOLE GROUP : Describe and comment on the picture above. Reactions? 1e S5 : Read the poem and comment on it in details. 150 words minimum. Can you compare the 2 speeches in the form and content? Comment on website. Any other suggestions for good movies about segregation in the USA? Have a look and describe this poster, giving as many details as possible. Give your personal impressions at the end. Download (or print) this list of vocabulary related to advertising, and learn the words and expressions. You will need to use them when speaking about the topic. The Maslow Pyramid: read the document given to you and have a look at this PPt and the ads presented. Answer the question. Useful expressions for debating – to use in class ! Extract of the series ‘Madmen’, have a look ! It has nothing to do with advertisement, but don’t miss this film ! I didn’t really like the Frankenstein adaptation play we saw. In my opinion, the jokes were a little misplaced and I would have liked to see a play about the original story. However, the setting was well optimized and the actors were good, so the play was still enjoyable. Hi, sorry first of all for answering so late but I’d to finish a very long homework. About the play we have seen, I liked the quirky humor (the man in the street talking about meat), that introduces a new vision of the novel. I also appreciate the acting and the fact I was able to understand almost all of the play despite the fact it was in English (the actors spoke slow and articulated) even if I knew only the basis about Frankenstein. However, I found the scenery a bit poor (I assume they didn’t have a big budget). In my opinion, the play was good and the four actors (playing each at least two different roles) made huge effort making the play dynamic and attractive, that noticed. I founded the play great, because the adaptation was well done and funny. Of course, the original story was modified but still I appreciated it. The setting was well employed, but the special effects were, in a way, a bit peculiar . I didn’t know Frankenstein’s stroy before I saw the play and it was a great experience to discover it as a theater play. I appreciate the story and the characters who were really interesting. I liked the monster that was show at the beginning like a horrible creature and that is finaly just sad and he feel’s alone, different and he is a little bit representative of some people that are rejected because they are part of a minority. To conclude, I think the play was played very well ! Frankenstein was a very good play! This mix between « horror » and comedy is epic, and the comedians were outstanding actors. In my opinion, the end came too quickly, we were not prepared to it. Everything was perfect, from costumes to playing (Frankenstein was very well done), one of the best scene was the reviving scene of Victor’s wife. This marked the turning point of the play. That was the first time I saw the story of Frankenstein. I didn’t even see the movie. Actually, the story is basic. But when Mary Shelley wrote it, it was kind of innovative. In my opinion the play was not amazing but it was important to see it once. Even if I wasn’t keen on the play, I must admit that the actors were good. Actually I guess it was hard to be just 3 actors for this play. You ask us about the play, so… here it is! The beginning was very original, Frankestein talked among the spectators. The effect was, I think, successful because I felt like in the doctor’s class. Then I don’t really like the scene when the doctor tries to kill Frankenstein, I find it a bit « too much » and not essential. However the introduction of the mysterious machine which can give life again was really nice, the bike was a very good idea! Then the introduction of the couple of Frankenstein, when he promised to stop the experiments was realistic, almost ceremonious! Well played! The role of the street vendors was nicely played too! They introduced a bit of humour by imitating the innocence of some people who just want to sell their stuff but they don’t really know who is in front of them…. I found the gravedigger really good, and he got into his character as much as possible so it was realistic! Coupled with the reactions of Frankenstein’s wife, it was really funny! I think that the end was too long, after the « resurrection » of the monster, maybe the consequences were not so important because it’s a bit obvious, I don’t know. However, his trials to have friends and to socialize were interesting, and referred to our society’s problems, or just simply the position of the people excluded of the society (old people, autistic people, and cetera…). See you on Tuesday afternoon, you know I am not available in the morning because of the Oral Comprehension of the BAC. Be ready to present your slideshow! I agree with lots of things. Nevertheless I don’t as far as the parts of the street vendor is concerned. In fact, at the beginning I didn’t understand this part (one of my friend said that it symbolises the meeting between the monster and a human being). In my opinion, this character was not necessary in the play. It’s inspired by a tale that Edgar Allan Poe wrote, and it’s the story of a man living alone in a cold and snowy place who falls into madness. I found it interesting how the animation, the music and the voiceover can convey the feelings of the character. Great video, thanks for sharing ! Hey guys, I heard about « Green books : Sur les routes du Sud » and so I heard about the Green book. We didn’t spoke about it but I find it important. The Green book is a kind of Petit Paumé but for Black people in the 60’s. Actually, there is all the restaurants, motel… where the Black can go without being bothered by white. 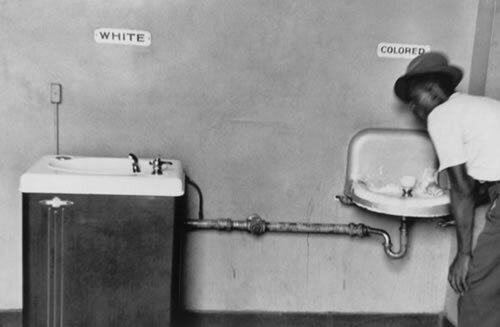 I think it really shows how hard was the segregation in the 60’s. Thanks Max. Have you ever seen it? I saw in a newspaper that the actor Viggo Mortensen, who plays Tony Lip, won the Screen Actors Guild Awards. It has to be a good movie then. Yes I saw it a week ago. Actually I found Viggo Mortensen as gifted as Mahershala Ali. Thank you for the info about the awards ! I think these people in front of the painting aren’t enjoying the moment because they are too focused on taking their picture, instead of looking around them. Maybe the fact that this painting is so famous has become the main attraction in the place of the actual painting, and people want to see it just to be able to tell their friends « Hey I went Paris and I saw Mona Lisa, it was great ! Look at this picture I took ! », and not to appreciate the quality of the painting. Martin Parr made a lot of pictures about what he called « small world » in which he denounces the business around tourism. In my opinion, one of the most communicative picture is the tower of Pisa’s which is also funny. Martin Parr’s photos denounce the fact that in today’s society, tourists or even, people, aren’t living the moment, they prefer to capture it probably just in order to flex? or show off to their friends. Some of the pictures have a really strong message such as the beach one which can really make you think, some might believe that our world is fake, or even staged. 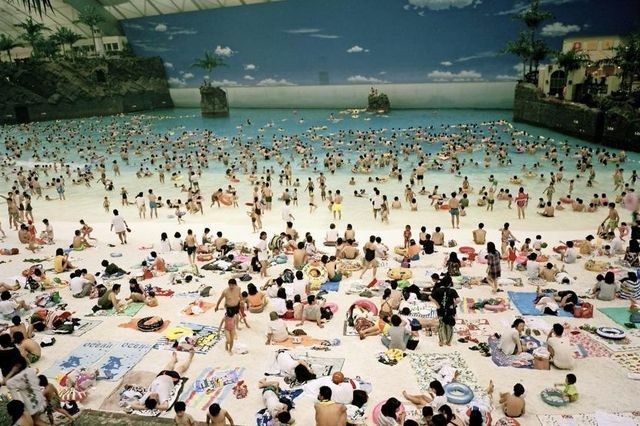 In the series « Small World », Martin Parr took 18 photos. All of these photos are about tourism. Sometimes, they are not real landscapes, and just objects for tourists, like postcards, models, a little sphynx, knick-knacks which remind us of the pyramids, et cetera…. Maybe he also wants to show that the world is so small that it allows us to visit other countries and cultures (I am not sure). There is also a criticism, (like Baptiste said), of us, because there is a real absurdity to create tourism around objects (like the model of NY). All photos are linked to the theme of « Small world ». All these tourists visit the same touristic places and take the same photos. Martin Parr takes a picture to show us the crowd effect in front of something. It is possible as a tourist to stop at a well-known place and not especially a beautiful one, but to miss something less known but more memorable. For example, a lot of people look at the « Mona Lisa » in the Le Louvre museum and almost nobody is looking at the » Wedding feast at Cana ». https://www.youtube.com/watch?v=lG7DGMgfOb8 (it’s a very interesting movie about the control of the data). And I think that Martin Parr’s photo speaks about globalization and the fact that people don’t enjoy the present time because of photos. You were right ! The film Minority Report is very interesting. I saw it a second time yesterday and it was better than I remembered. Good suggestion. Martin Parr’s photos has taken many pictures that show the absurdity of mankind. Ilt reflects what we really are, from a critical point of view. I also watched Martin’s photos, and I agree with you. I think he dislikes mass toursism and the stupidity of the consumer society. Many people miss the most important things when they travel and focus on buying souvenirs and taking photos instead of just enjoying the places and forging memories. I just saw a trailer of a new film, The Hate U Give (THUG). Starr, a black teen, sees her friend getting killed by a white policeman and then fights against injustice and racism. Why do black people run faster than the white? When I asked around me, anyone knew it, and this type of « taboo » can be at the base of racism. In my opinion, the day we talk about the colour of the skin as we do with the colour of the eyes, it will be the end of racism, so answer me please, let’s debate! Nobody seems to want to debate with you, or even answer. That’s a pity. Have a great Xmas Bastien ! Well, I saw an article about that in Science & Vie (the scientific magazine), something like 5 months ago. Anyway. All the living species on earth are able to adapt in order to cope with their environment, through diverse processes and mutations. Since the human species is widely spread around the globe, we have different characteristics, based on the environment we evolved in. Humans who live in Africa are more resistant to sunburns thanks to this evolution. Humans who live in northern Scandinavia are able to transform more ultraviolet light into vitamin D.
Characteristics depends on the environment. Running speed is a consequence of a characteristic (leg muscles development I guess), and this characteristic was probably determined through adaptations due to the environment. Hi Romain, thank you for your answer. You also put a very interesting definition! So as you said, White and Black are not equal physically. Thank you science! To respect a creature, do we need it to have the « human criteria »? In my opinion we can just see the differences with us and think: What is the problem? I didn’t find a good answer to this question, so it seems working. I don’t understand what you are getting at here Bastien. Alternatively, the actors play really well, and the angle of attack for this difficult subject is nice! I talked about beeing « less human », but it doesn’t mean that not being human justifies a lack of respect ; animals deserve respect as well. The thing is, in my opinion as long a one has emotions, we need to respect that beeing. It then can apply to « modified humans », clones, cyborgs, ect. I read a post about that on Reddit a while ago but I can’t find it anymore. If I’m not wrong, it’s about genes, and the fact that African people have smaller muscular fibers, so they can stack way more that Asian or European people. And that’s why they can run faster, because they have more muscular fibers. I think the speech of Malcom X is a enticement to fight violently. It is not a protest, it is a violent fight for equal rights. It’s the opposite of all MLK speeches. It’s interesting. I had no idea that the name « Ku Klux Klan » could have come from a rifle- bolt noise. I listened to both speeches. I didn’t understand lots of information (transcription?). With the little I heard: When MLK is for a peace movement, leader Malcom X seems to be more agressive. Once again, history shows us that violence is not the only solution. There’s always one without agressivity. But sadly, people prefer to fight. I do agree of course. 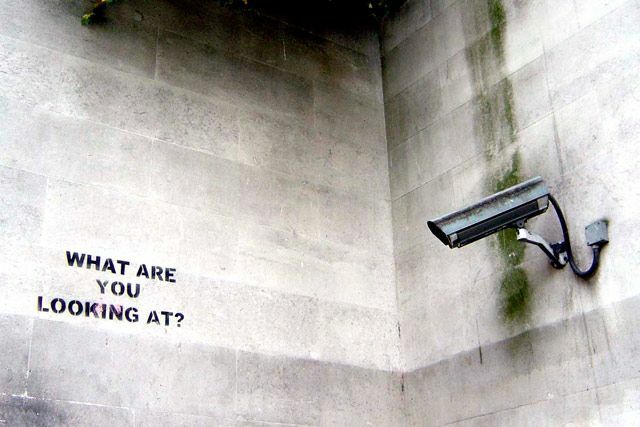 Peaceful protests should be the solution …if they were even heard. 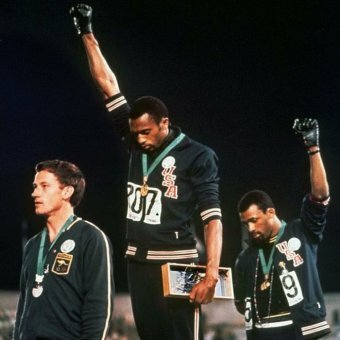 If only sit ins and peaceful protests had made the world change we would know it by now. Not that I preach violence, obviously. But if you look at History, a lot of social advances were made because people fought for their rights. Not always with violence, but unfortunately often. Some movements of protest that were supposed to be ‘peaceful’ descended into riots because of agitators or because of police provocations towards the demonstrators. Plus, the right to protest is part of the Convention of Human Rights. Now, how to protest and stand up for one’s rights is of course another matter entirely. And we can always hope that progress will be achieved without violence, but with committed and active citizenship. Any links along with your post? Romain, your comment reminds me of the comic book « Tintin au Congo » : the representation of colored people is very simplistic and they are shown as dumb and lazy people. 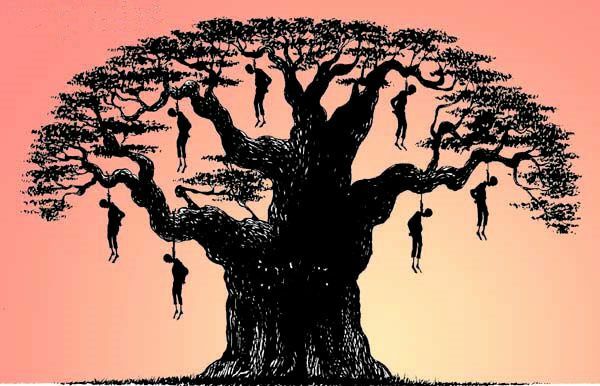 This was the representation of African people at that time. 2 months ago I saw « Black klansman » wich is inspired from a real story. The story is kind of strange but shows you how superficial the kkk is and how strange their arguments are. It makes them look like kids who are crying for no reason. I saw it too it’s a good movie. You can have it easily on your usual streaming website. MAYBE YOU COULD POST YOUR COMMENTS ON THE PICTURE (black and white) ON THE WEBSITE (ALSO TO BE FOUND IN YOUR BOOK) ? AND SUGGEST SOME MOVIES OR OTHER MATERIAL ON THIS TOPIC? ARE YOU NOT INTERESTED IN THE SUBJECT ? Last year I saw « Hidden Figures » which talks about three black women who work at the NASA. The women had to go to toilets which were different if you were black. One of the women wasn’t near the « black toilet » so she took everyday a long time ?? When her boss discovered this, he tore the paper where « white women » was written. I think that this is a very intetesting scene because it was a white man who realised that segregation was very stupid and unfair. Thanks Maëlle for your interest and your suggestion. I haven’t seen this film but heard about it. It seems that you are the one taking the initiative about posting comments ! I saw it too ! I saw this movie too. This scene is the strongest one in the film. I also like the scene when a white astronaut asks the black expert to check again the calculations done by a white man before going into space. I agree with you, even if I don’t think it will have a major impact. I think that her book can help to make the people aware of racism and the black discrimination that also affects educated or rich black people. Black discrimination and all discriminations in general are shameful. It must stop as soon as possible. In my opinion, however, Michelle Obama’s book about her life and her fights won’t change anything about it because people who will buy it and read it are the ones who already believe in her ideas : people against black discrimination. She should write a guide about dicrimination specifically and include it in schools. Do you think Mr Trump has read it ? What do you mean by ‘include it in schools’ ? I mean it should be shown at school in order to learn to children good behaviors, because young children are very influenceable for the better or worse. Do you think that Michele Obama’s book will change something about black discrimination ? I think her book will change some minds about racism in general, maybe make some people react, some of them will like it, others won’t see the point of this memoir but I defintely think that she’s helping the worldwide fight against racism. I guess that would change something if she becomes the first US woman president.